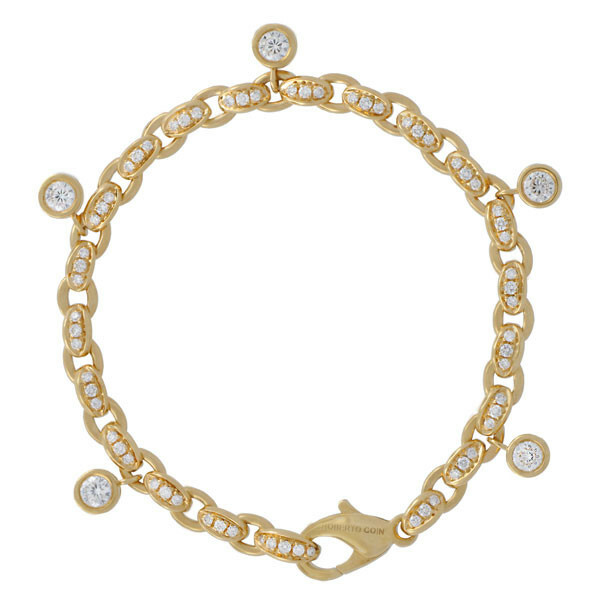 This bracelet is from the Roberto Coin Cento collection. It features diamond drops, and every other link of this high-polish piece has set-in gemstones. Your wrist will shimmer and shine. A red ruby, a hallmark of Roberto Coin jewelry, can be found on the back of the piece; only the owner will know where!